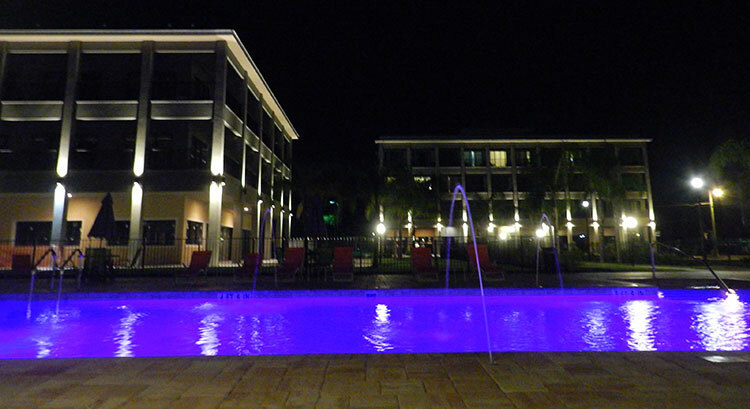 The Key West Resort on Lake Dora is in the Tavares – Mount Dora hotel area that offers the latest in style and amenities to make your Mount Dora area vacation or business trip a success. Conveniently located on Lake Dora in the Entertainment District, just two blocks from the Lake County Courthouse, you will find the hotel is close to everything you need. 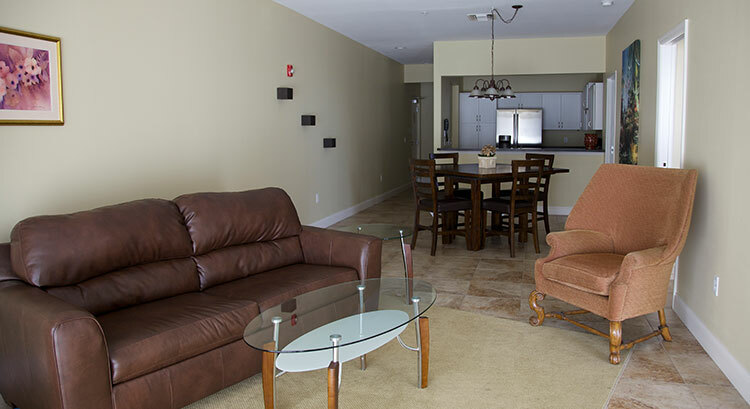 Each of our 64 spacious rooms and suites feature hardwood or tile floors, wet bars with microwave, refrigerator, and sink, and the suites have fully equipped kitchens. Most rooms and suites have a private balcony overlooking the Seaplane Basin and recreational waterfront. Located at one of Florida’s only inland seaplane basins, where pilots like to stop in, enjoy the entertainment, and often spend the night before the next day’s adventures. Jet skis are available for rental, as well as boat rentals. There is a steam engine, The Royal Palm Railway Experience, that runs from Tavares to the historic village of Mt. Dora and beyond with themed trips. Live entertainment is common on the weekends on the waterfront at Puddle Jumpers (restaurant and bar) and Kalua Hale Beach Bar (bar with limited menu). The hotel itself has The Tiki West Raw Bar and Grille, Brand Charles Studio Hemingway’s Wine and Cigar Bar. Classic Boat Racing, Antique Car Shows, Sailing Regattas, and Jet Ski Tournaments are common events on Lake Dora in Tavares, as well as the famous Arts and Antiques Festivals in Mt. Dora. The Downtown Tavares area is an Entertainment District, where patrons are allowed to stroll (with the adult beverages of their choice) to visit the many shops, museums, and restaurants and bars. The pool is equipped with an ADA compliant lift. All rooms are accessible by elevator with Braille markers. All public areas are wheelchair accessible. We offer free accessible parking. The Key West Resort on Lake Dora is the perfect place to host your next company event, business meeting, or conference. Our 1060 square foot meeting space can accommodate as many as 60 attendees and features breakaway space to accommodate more intimate conversations and round table discussions. Provided equipment includes high-speed Wifi, a digital LED projector, and a 4′ x 7′ projector screen. Light dimming blinds can be raised to reveal stunning lake views. A wet bar and mini-refrigerator are available for presentation of light snacks and drinks. Food can be ordered and delivered conveniently from any number of the local restaurants surrounding the hotel. We are in the heart of Tavares’ Downtown City and Business Center. Our lobby sits across from the Lake County Courthouse, the Lake County Administration Building and it is a short walk from the Tavares City Hall. We are the most comfortable and convenient place to host your next meeting in Lake County, and then relax from your balcony overlooking beautiful Lake Dora. 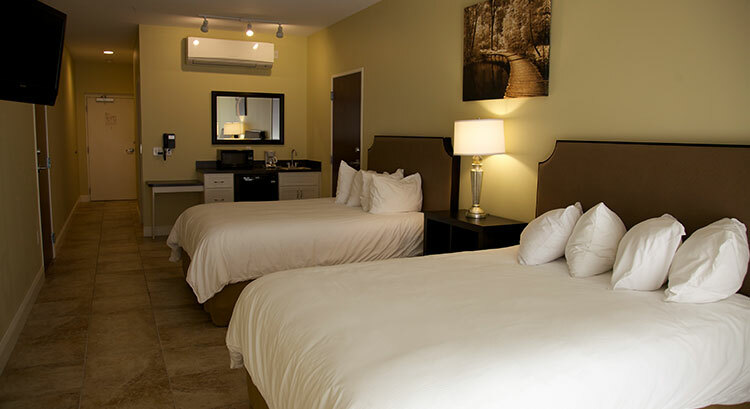 At the Key West Resort on Lake Dora, our cozy and spacious guestrooms let you unwind, relax, and rest peacefully. Fun for the whole family awaits you in our swimming pool. The Key West Resort on Lake Dora in Tavares offers a variety of nearby dining options, attractions, and businesses. To book Tavares for a large group, please fill out the form below. This will go directly to the hotel and they will contact you.